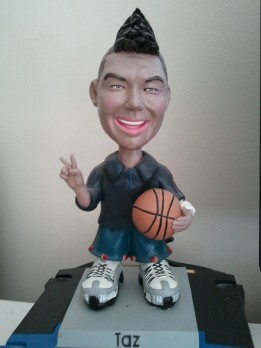 TaZ’s Bobblehead makes the LA Times! | . . . . . Dominate your Gym progress with ThatGuyTaZ! TaZ’s Bobblehead makes the LA Times! That’s exactly how they do it, dude. You send in a photo, and the company sends proofs of your doll in various stages of production. In the case of Whoopass, it has an artist studio based in Chicago, but as with most companies, production is based overseas.